The roots of current controversies over the benefits and dangers of consuming raw milk can be traced back to much earlier debates about pasteurization in Canada. But in the early 20th century, the push for Louis Pasteur’s process of heating and then quickly cooling milk to destroy possible disease organisms often came from unexpected sources. Carstairs’ interest in the history of food, health and illness has led her to pursue projects ranging from a history of the Health League of Canada, a group promoting public health in Canada from the 1920s to the 1960s, to a forthcoming examination of dentists and dental health in Canada. An article she’s co-written about pasteurization in Canada appears in the new book, How Canadians Communicate VI: Food Promotion, Consumption and Controversy. Pasteurization was not the only strategy for improving the safety of milk in the early 20th century, a time when milk was seen as one of the most valuable foods. At the time, experts suggested children should be drinking as much as a quart a day. In the 1920s and 1930s, some public health advocates believed that a certification system, which entailed a much more rigorous inspection of farms and milk-processing facilities, was the best approach. “One of the feelings was that pasteurized milk basically enabled you to sell dirty milk because you were just heating the germs out of it instead of paying attention to the entire process of producing a clean and safe product,” says Carstairs. As dairies grew in size, pooling milk from larger and larger networks of farms and using more and more equipment that required cleaning and maintenance, pasteurization was seen as the easiest and cheapest way to make their product safe. 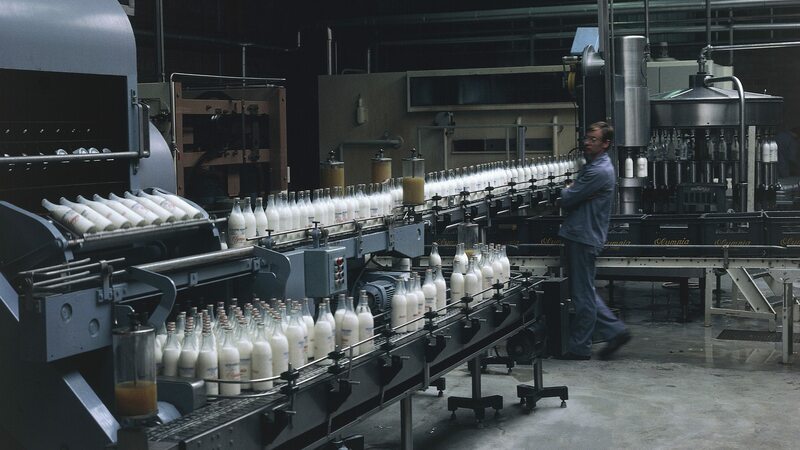 Pasteurized milk also lasted longer, allowing dairies to sell their products further afield with reduced risk of bacterial contamination during transport. “Those corporate messages probably had a much bigger role in getting Canadians to adopt the drinking of pasteurized milk than the legislation actually did, since the legislation tended to be very spotty and sporadic,” says Carstairs. Though pasteurization was made compulsory Canada-wide in 1991, the resistance continues, these days coming from boutique farms and raw-food advocates.